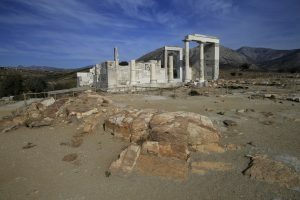 Greek Island Tour: The isles of the Aegean, where a wealth of archaeological sites are set in stunning locations. Day 2: Arrive Athens. Ferry to Mykonos. 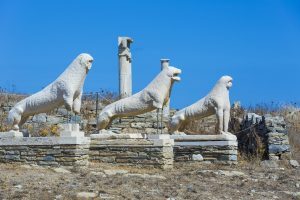 Day 3: Ferry to Delos. 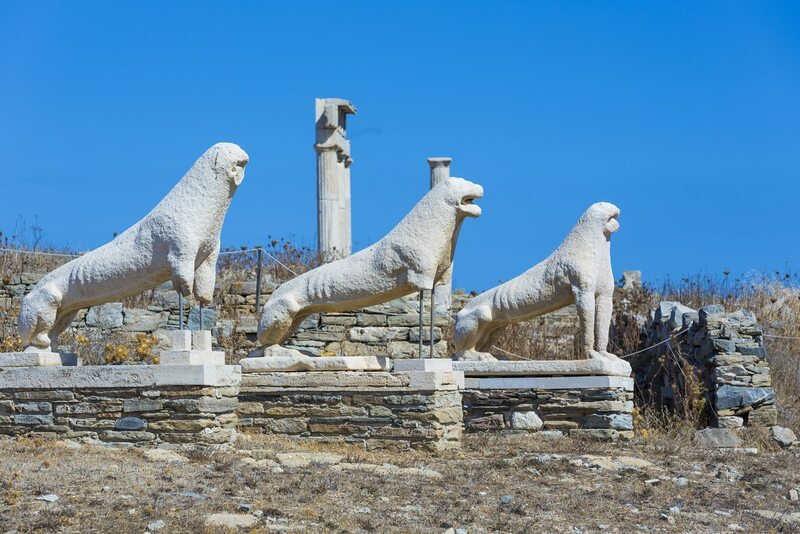 Tour Delos. Return to Mykonos. Day 4: Ferry to Paros. 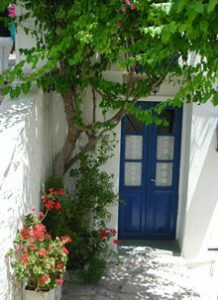 Tour Paros. Day 5: Private tour of Despotiko with the site director. 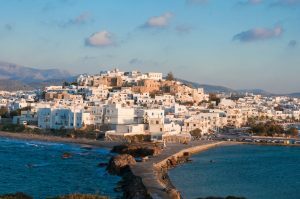 Day 6: Ferry to Naxos. 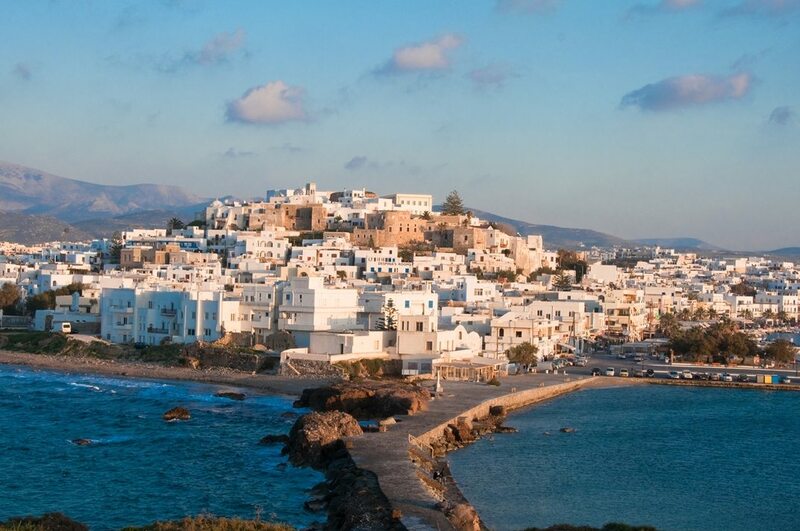 Tour Naxos. 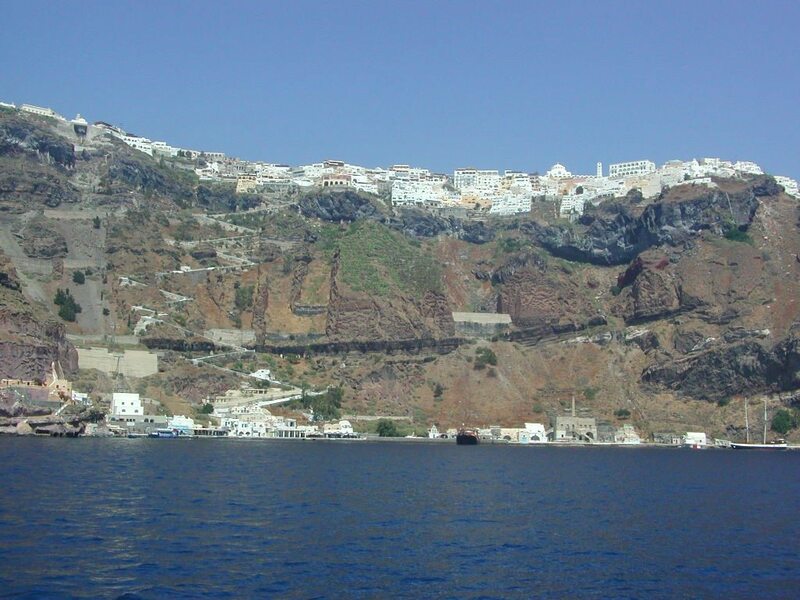 Day 8: Ferry to Santorini. 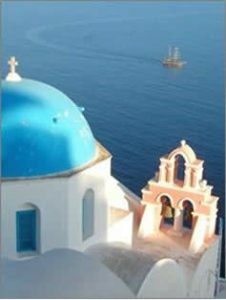 Tour Santorini. 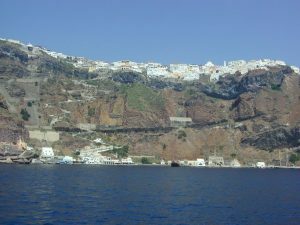 Day 10: Tour Santorini. Ferry to Crete. 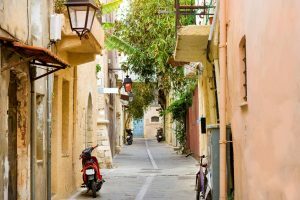 Day 12: Tour Crete. Fly to Athens. Day 13: Ferry to Aegina. 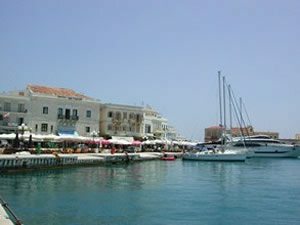 Tour Aegina. Return to Athens. 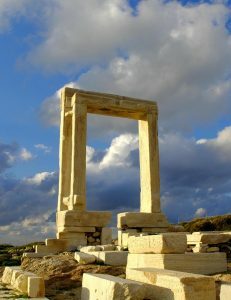 The islands of the Aegean offer travelers a unique perspective of Greece, ancient and modern. 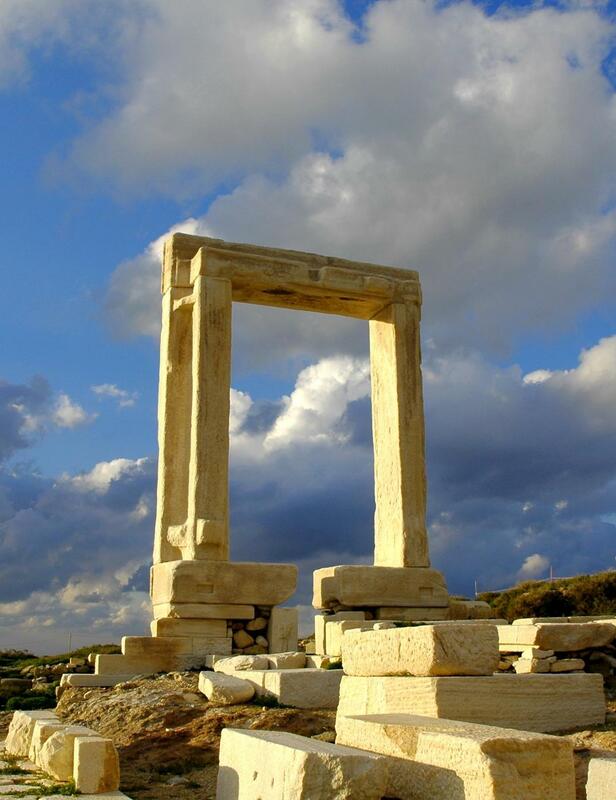 A wealth of archaeological sites set in stunning locations reveal the myth and history specific to each island. 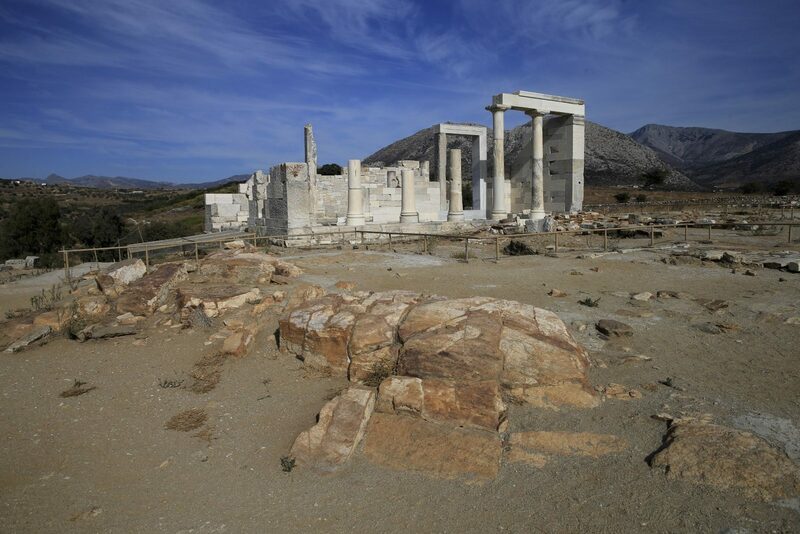 The UNESCO World Heritage Site of Delos was one of the most imposing sites in the Greek world, celebrated as the birthplace of the twin gods Artemis and Apollo. 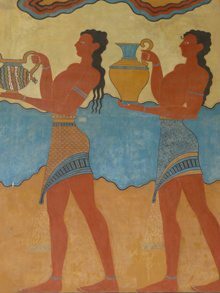 Revealed in the splendid frescos and stunning architectural details, Knossos flourished as the administrative and ceremonial center of Crete in the Minoan and Mycenaean periods, remembered as the capital of King Minos and the labyrinth of the Minotaur. The stunningly preserved remains at Akrotiri on Santorini give a glimpse of a sophisticated Bronze Age community, thriving on the interaction of trade and exchange. 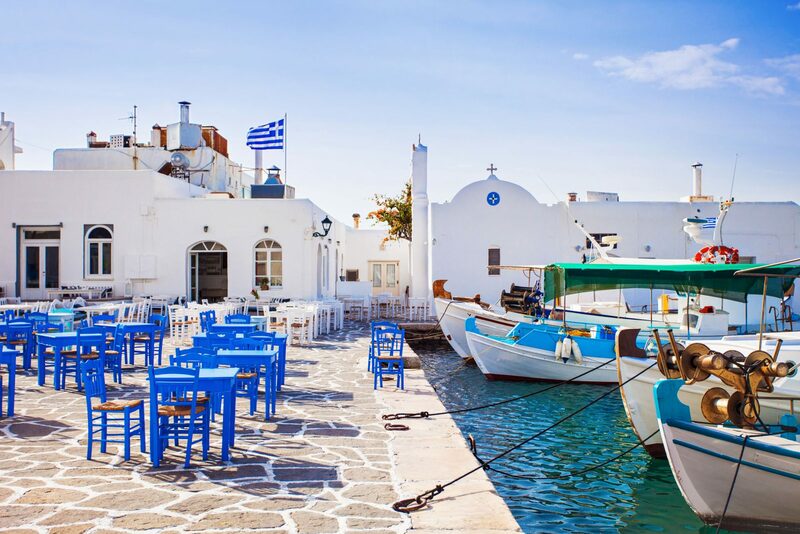 Traveling by ferry across the sparkling indigo Aegean Sea from island to island, visit the Cyclad isles of Delos, Paros and Naxos, along with Santorini, Crete, and Aegina, with its splendid Aphaia Temple. 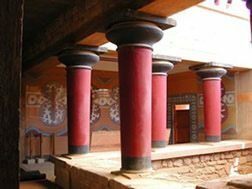 View the varied remains of thousands of years of continuous occupation while learning about the mythology of the ancient gods and heroes. But more than history awaits! 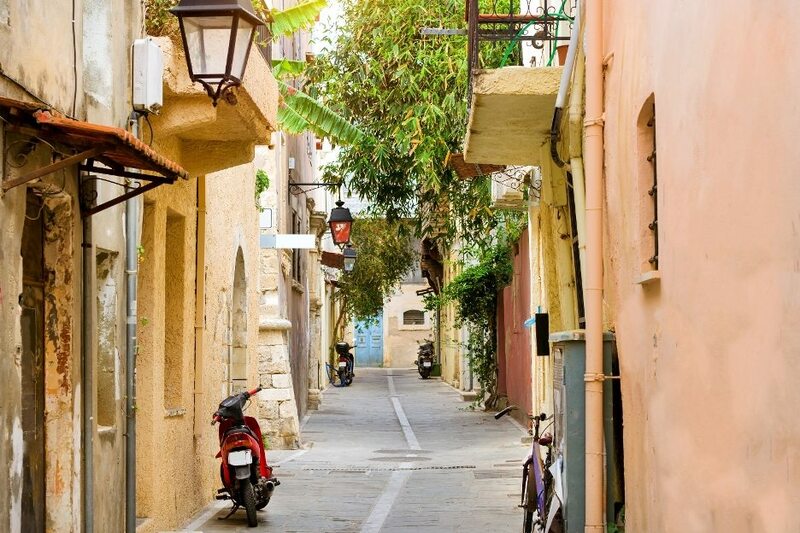 Wander cobblestone village streets lined with gleaming whitewashed houses, pause for drinks in traditional tavernas, spend nights in small boutique hotels, and immerse yourself in the pastoral life that inspired the legends that have been passed down for millennia. 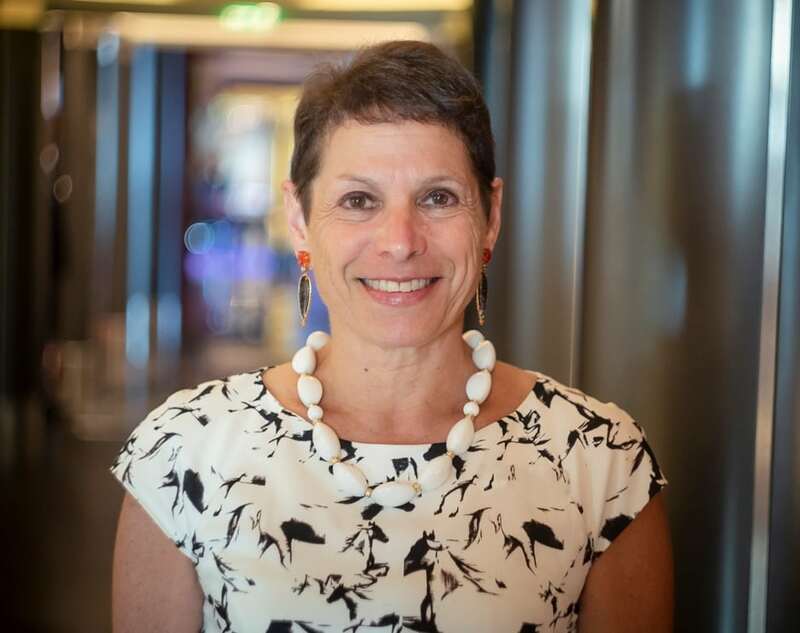 Judith M. Barringer received her BA from George Washington University, her MA in Classics from Yale and her PhD in Classical Archaeology from the same university. 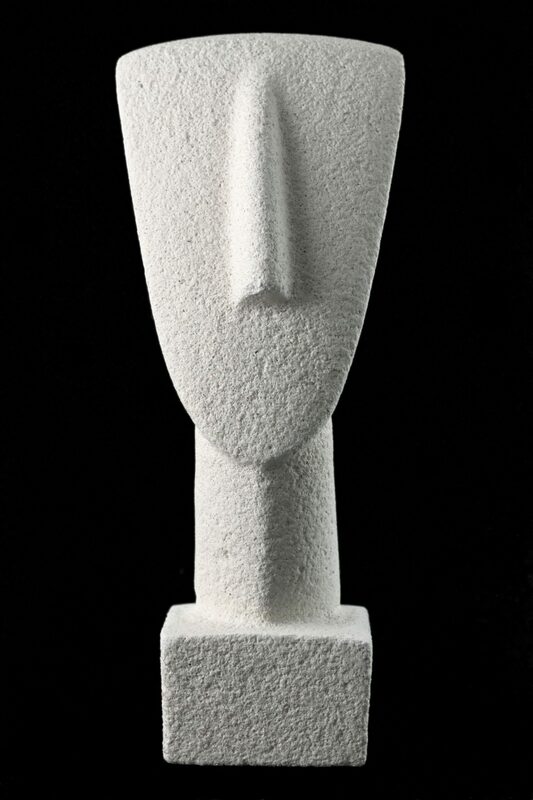 she is a specialist on Greek art and archaeology, and Greek myth and religion. 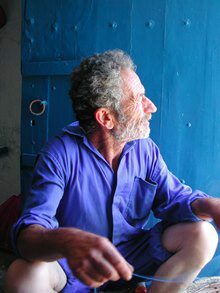 Dr. Barringer is a Professor of Classics at the University of Edinburgh in Scotland. A prolific writer, she is the author of many articles and books, including The Art and Archaeology of Ancient Greece, Art, Myth, and Ritual in Classical Greece, and The Hunt in Ancient Greece. 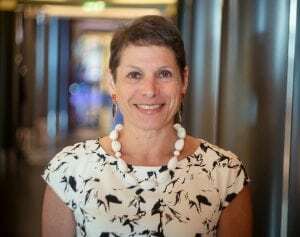 She has been the organizer of conferences in Scotland, Greece, Berlin, and New Haven, and has been a speaker at seminars throughout Europe, Asia, Australia, and the USA. 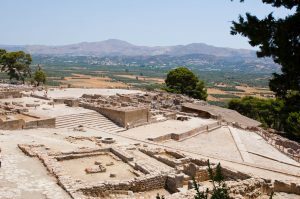 Dr. Barringer has received numerous fellowships and grants, including a grant from the National Endowment for the Humanities at the American School of Classical Studies in Athens and a British Academy Larger Research Grant. 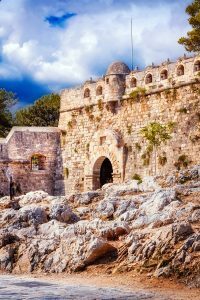 She has been featured on television in the BBC series, Divine Women, part 2, and the History Channel, Seven Wonders of the Ancient World. Professor Barringer has lived and worked in Greece, including Olympia, and speaks Greek. 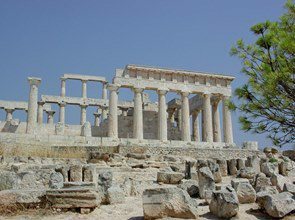 $9,595.00 (per person, double occupancy) includes all hotels; most meals (as noted in brochure); land and sea transportation; one domestic flight from Crete to Athens; entry fees; and gratuities to guides and drivers. Price is based upon the exchange rate for the Euro not going over 1.30. If the value of the Euro increases, the price of the trip may go up. Single Supplement: $895.00. Should a roommate be requested and one not be available, the single supplement will be charged. 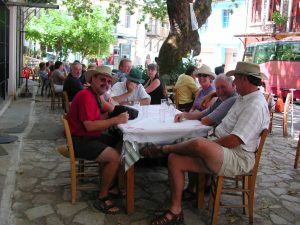 Cost Does Not Include: International flights to and from Athens; a separate donation check of $150.00 per person to a designated donation project; food and beverages not on set menus; alcoholic beverages; passport and visa fees; airport fees and taxes; excess baggage charges; email, telephone and fax charges, laundry or other services of a personal nature. 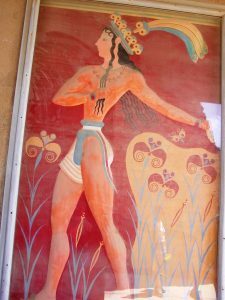 Note on Donation: As a tour company that benefits from the cultural and natural riches of our destinations, we have a policy ofdonating to the scientific and cultural projects and museums we visit. This has created a bond between Far Horizons and the academic and local communities that has helped us establish an extensive list of lecturers and contacts in each of our destinations. We ask that each participant write a check to the noteworthy project we designate. The donation amount is $150.00 per person and is made by check directly to the donation project. We will be designating a donation project for this trip shortly. Note that the donation is required 90 days before departure and is non-refundable. A deposit of $750.00 to Far Horizons is required upon making your reservation, along with a completed and signed registration form. Final payment is due 120 days before departure. Upon receipt of your deposit and completed registration form, you will be sent a initial trip documents. Click here to download our Registration Form. Cancellations received in writing at least 120 days before departure will result in an administrative fee of $450.00. Cancellations received less than 120 days before departure will not receive a refund. 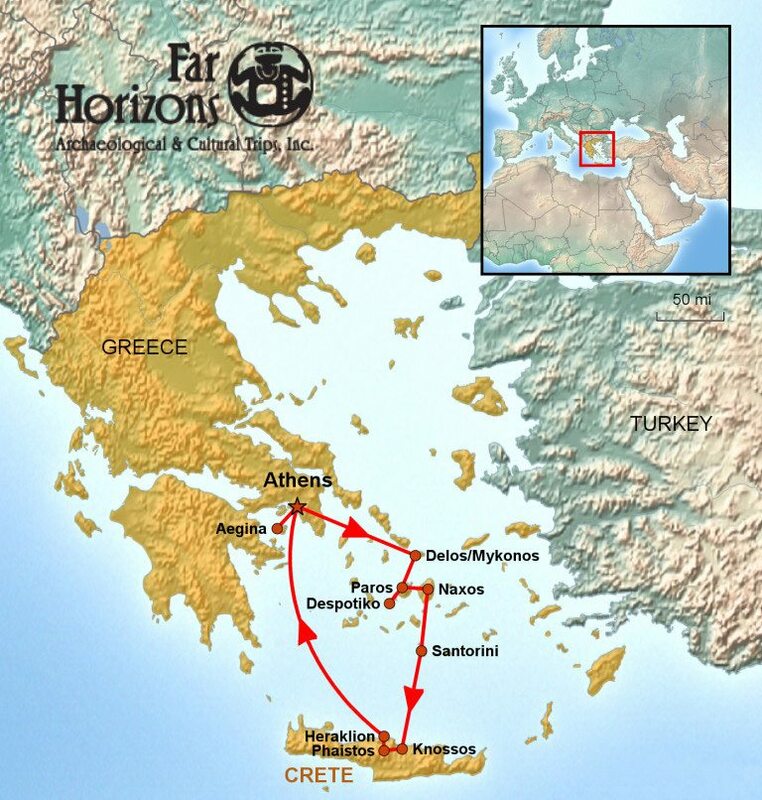 If for any reason you are unable to complete the trip, Far Horizons will not reimburse any fees. Registrants are strongly advised to buy travel insurance that includes trip cancellation. 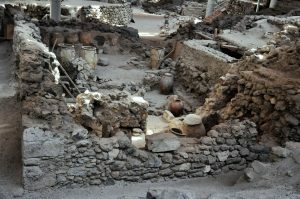 Private tours of archaeological sites and talks by specialists are scheduled in advance and include a donation to each. Specialists working at these sites are excited about showing their work to interested enthusiasts. However, please be aware that there may be times when the director or a member of the staff may not be onsite when our groups arrive due to other commitments. 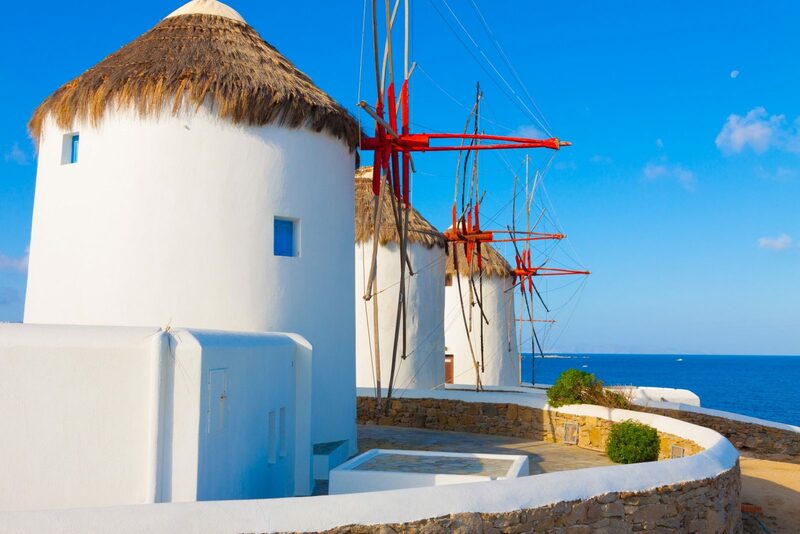 We have chosen hotels on the islands that are charming and characteristic of island life. But they may be simple and are not five-star. Please keep in mind that Greece is a European country which means that hotel rooms tend to be smaller than ones in the USA. If you would like to be upgraded to a larger room or suite at an additional cost, please contact the Far Horizons office. The group will be walking into and around sites extensively, frequently over uneven paths. All participants must be in good health, physically active, and able to walk independently and unassisted for distances that may exceed two miles or more each day. As a courtesy to your fellow travelers, you must be able to keep up with the group during the daily outings. You will be responsible for your own suitcase, and when boarding ferries, there will be no one to assist you. Suitcases with wheels are essential. If you have questions about whether or not you are physically capable of this level of activity, please contact the Far Horizons office as soon as possible. As the trip is designed around ferry schedules, changes in our itinerary, accommodations, and transportation times may occur. 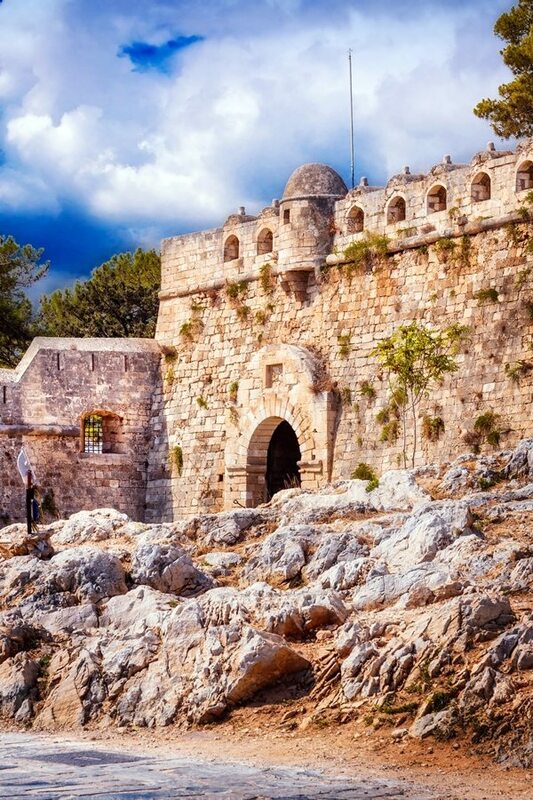 By maintaining a flexible attitude you will soon be captivated by the beauty of the natural scenery, the cordiality of the local people, and the fascinating sites.